Flyers are a trending marketing and publicity tool nowadays. 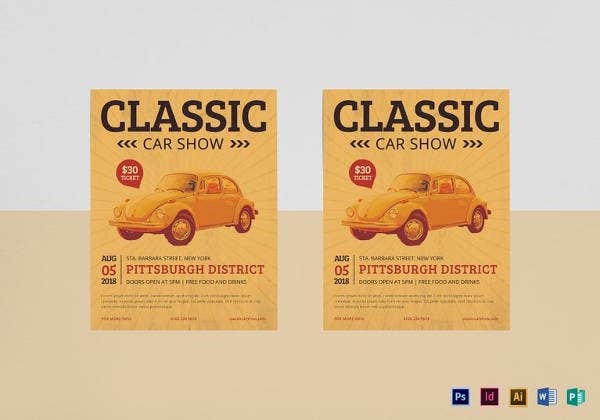 A Flyer template is an effective way to directly connect with the local audience. For an event, show or completion to be successful, the presence of a mass audience is necessary. Therefore, Flyer Templates should be designed so as to attract the people and pass the essential information about the event. 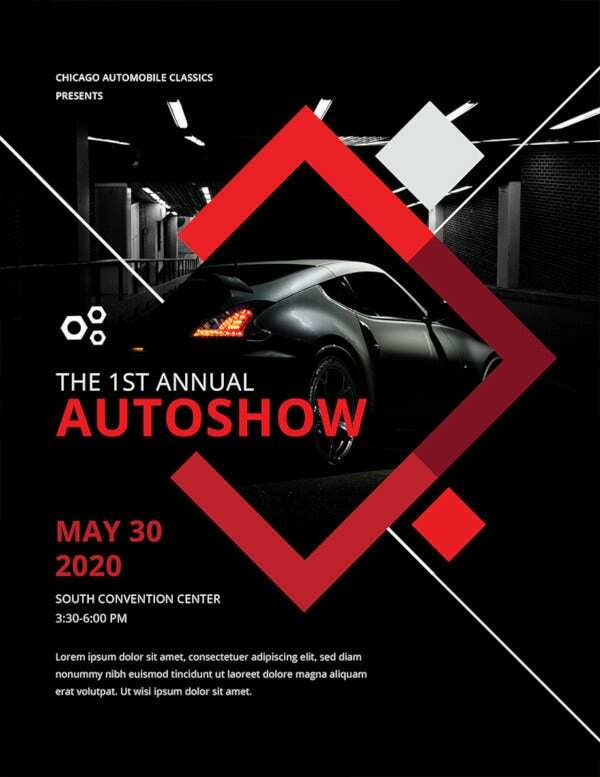 Flyers are also used to promote shows, for example, auto show flyers are a quite popular way to promote and pass the essential information about shows related to automobiles. 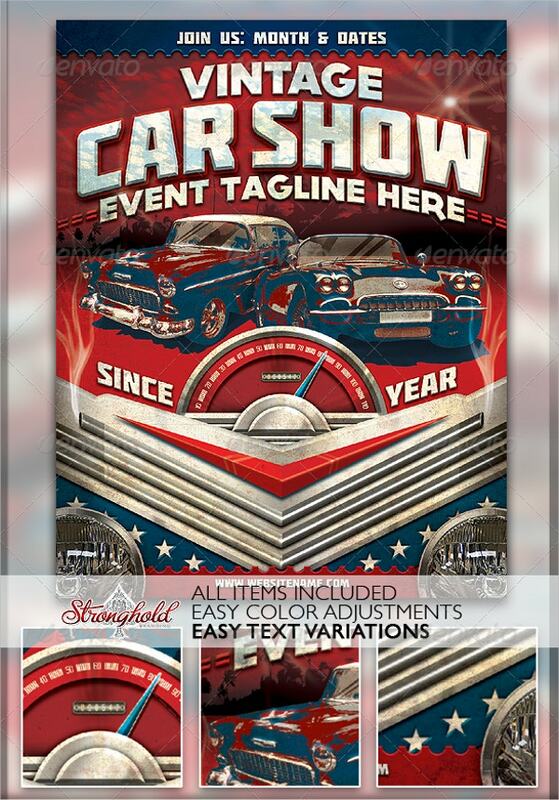 This flyer is designed to promote vintage car show. The software used here is Adobe Photoshop version CS3. All the layers are organized and labeled. The color mode is CMYK with 300dpi resolution. 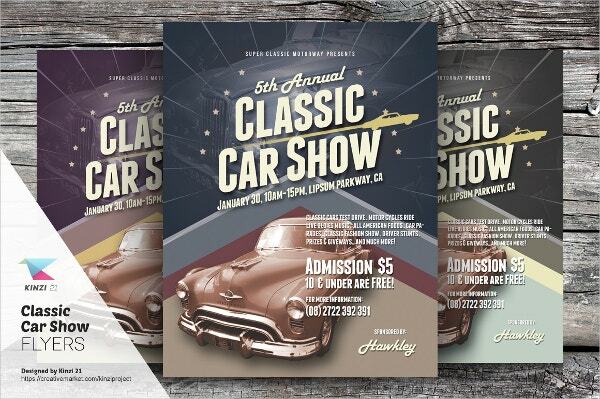 This classic car show flyer has a size of 8.5×11 inches with a bleed area of 0.125 inches. The flyer can only be edited using Adobe Photoshop CS3 software or its later versions. 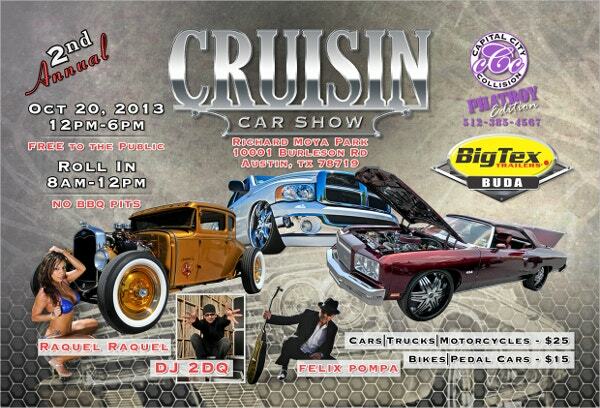 This is custom design car show flyer. The text, logo and images can be edited or changed as per the requirement. The flyer is available for printing in any size required. 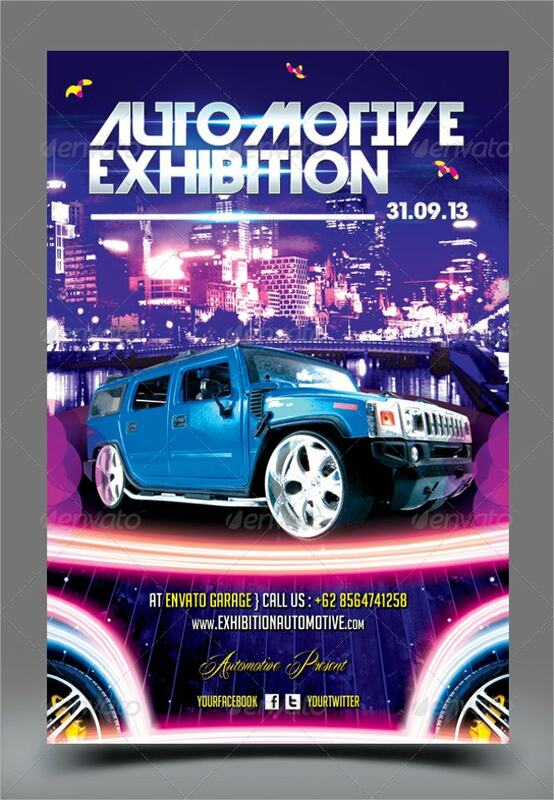 This flyer is to promote a car expo with an illustration of lustrous and luxurious cars and event details. The flyer is available in several sizes and high resolution. It is customized and easily editable. 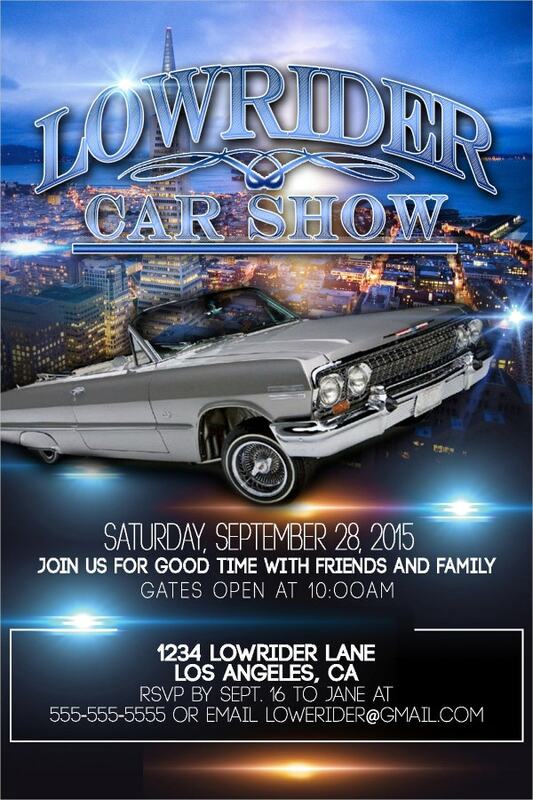 This flyer is to promote bike and car shows. The file is detailed and organized layers are present for easy use and editing. The text is editable and the file is CMYK print ready with 300dpi resolution. 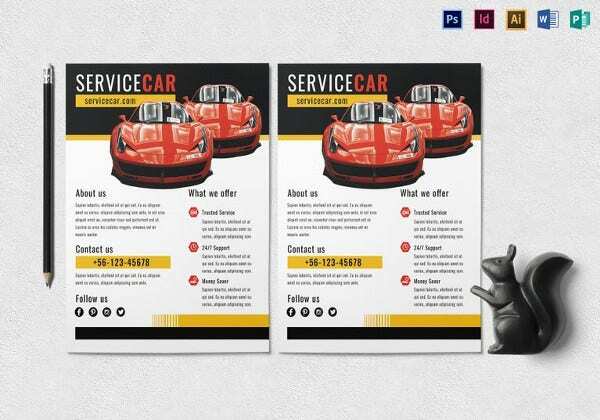 This flyer template is easily customizable and editable. The file size is 210×297 with 0.25 bleed area. 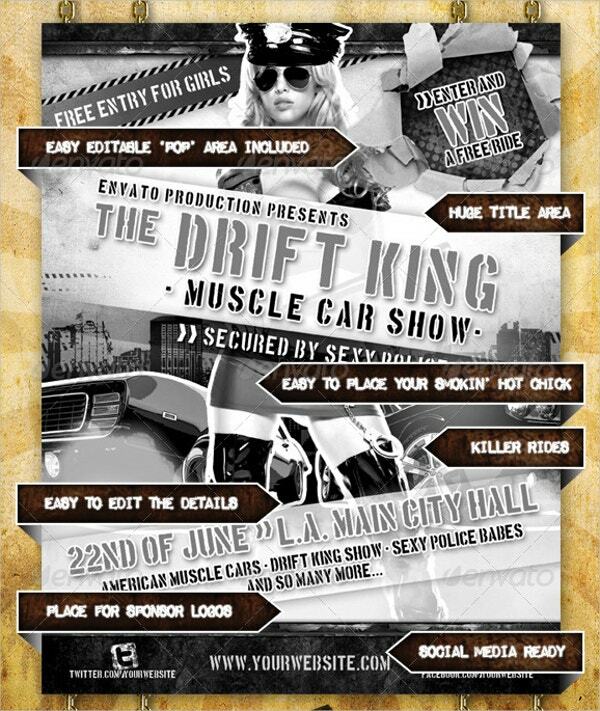 This custom car show flyer is available in several sizes as per the requirement. The color and the graphics can be changed as per the need. The text can also be edited and added. 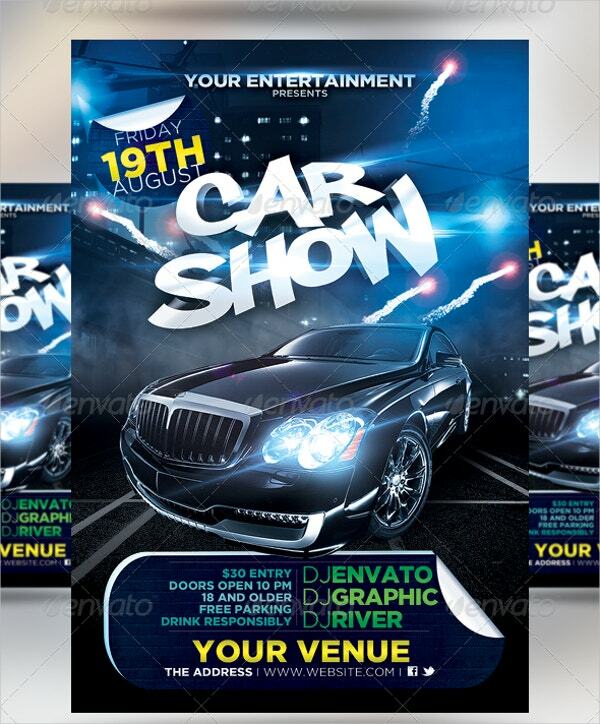 This car show flyer is a PSD file which is well-organized and of a high quality. 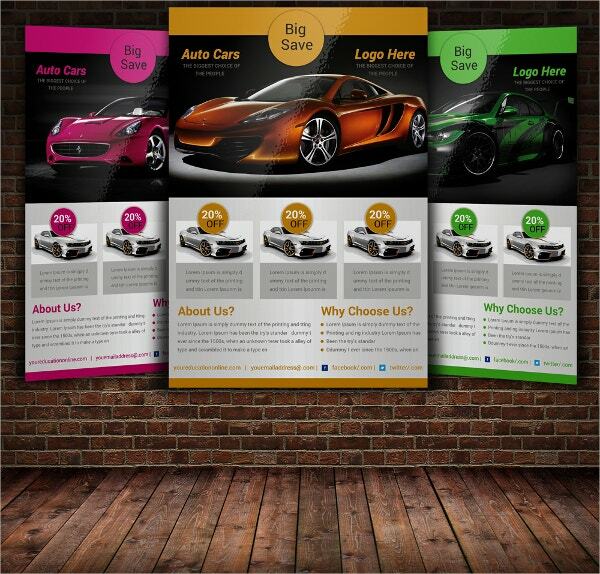 The file is created by free fronts and has a printing size of 8.5×11 inches with 0.25 inches bleed. 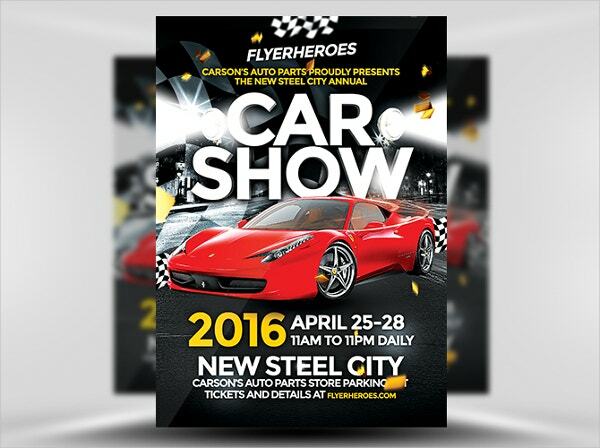 This car show flyer is a CMYK print ready file with 300dpi resolution. Its printing size is of 210×297 with 0.25 bleed. The software used to create the file is Adobe Photoshop CS5. You can also see Racing Flyers. 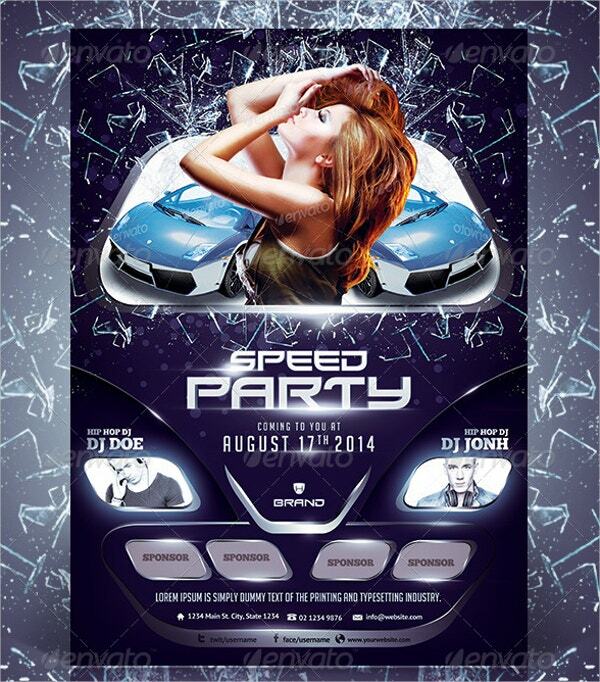 This car show party flyer is easy to customize and fully editable. The file is created by using free fonts and CMYK color mode with 300dpi resolution. It is available in different sizes of A4, 4×6, 4×7 inches. 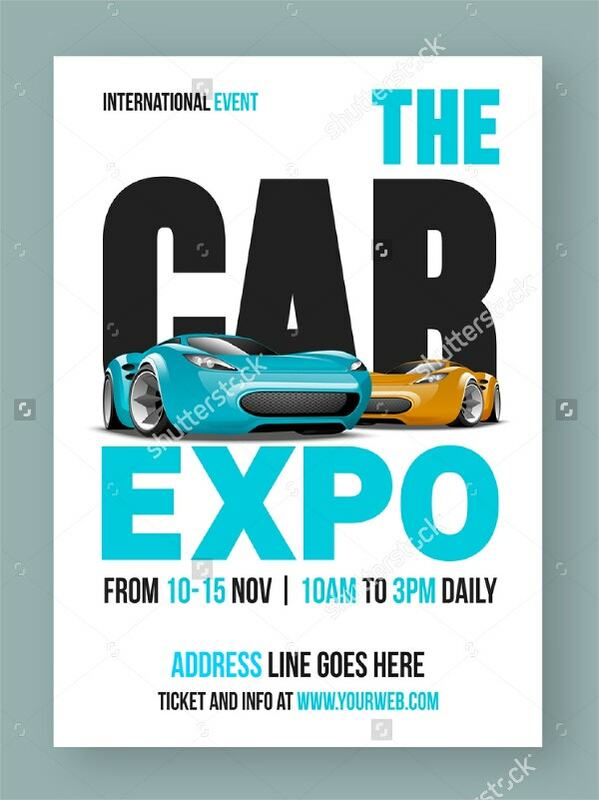 This car show flyer is a print ready file. It is available in high resolution and different sizes. The text and the pictures can be easily edited as per the need. 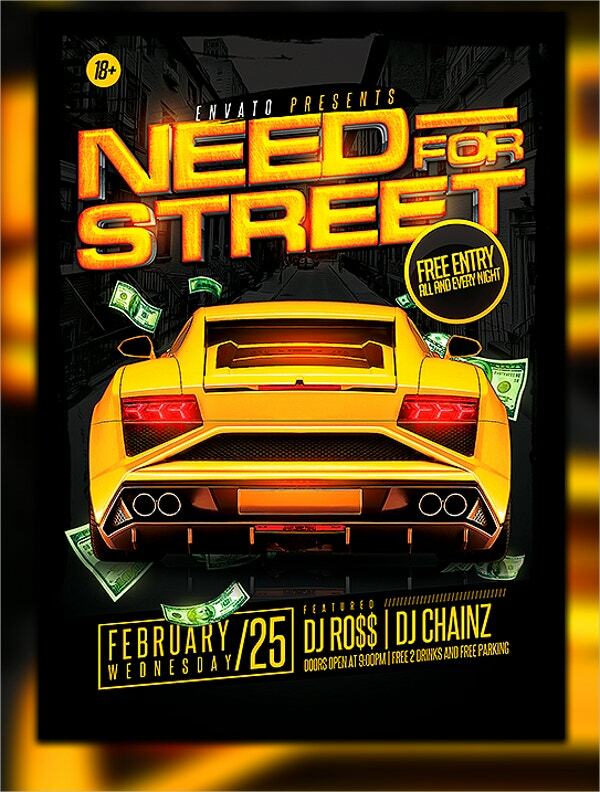 This flyer template has a print dimension of 4.25×6.25 inches and has a Photoshop PSD graphic file included. It is only compatible with Adobe Photoshop CS3 or higher versions. This Event Flyer is constructed in organized folders with labels. It is very easy to change text, colors, and to add or remove items. This layered PSD file is super easy to use. 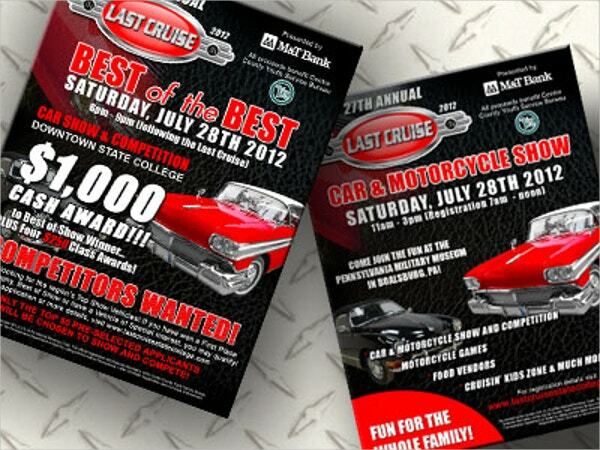 This classic car show and competition flyer is an easy to use file. The file is available in high resolution and several sizes. It is customized and easily editable. 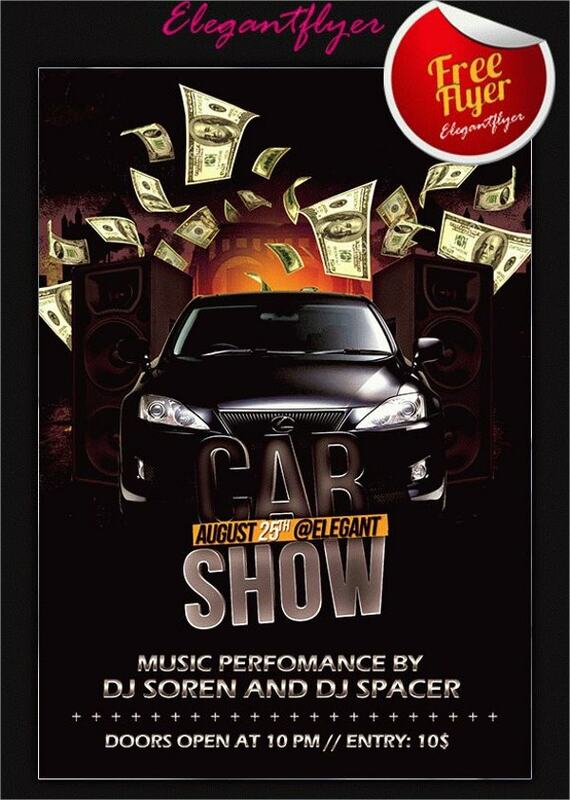 This flyer for annual car show is compatible only with Adobe Photoshop CS4 and its higher versions. 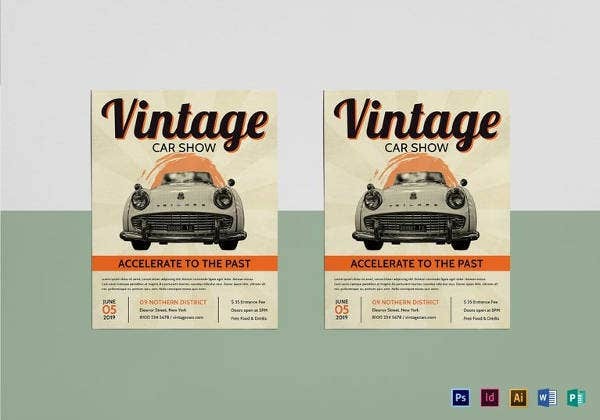 This layered file is available in PSD, JPG and RTF file formats. The file has a print dimension of 6×8 inches. You can also see Car Wash Flyers. 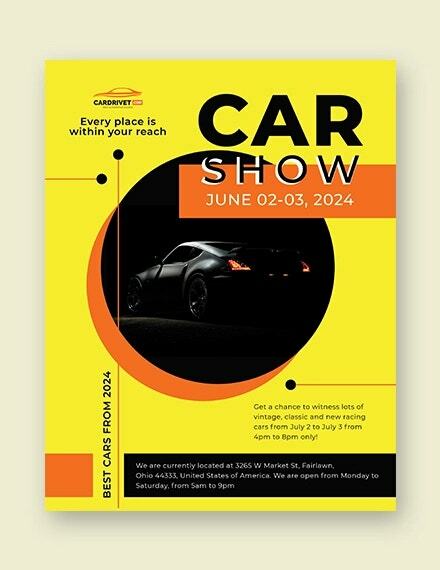 Auto show Flyers are a popular way to spread the information about an automobile show or event to the local audience. 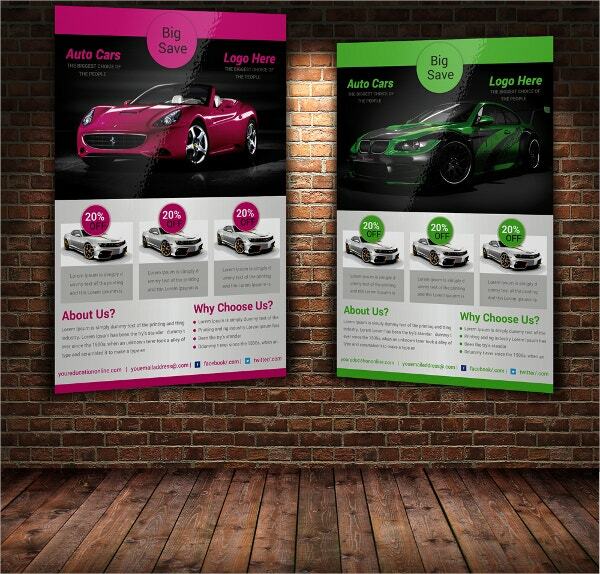 Auto show flyers like racing flyers, car show flyers and car expo flyers are used for promotion and advertising in a cost- effective way. These flyers help to make an event or a show successful and worthwhile.